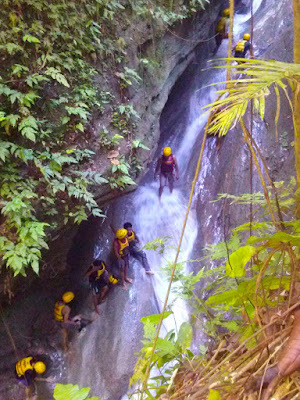 Canyoneering from Kanlaob river in Alegria, Cebu to Kawasan falls in Badian is one of the most popular to try specially for those adventure-seekers. There were thousands of people who tried canyoneering in Kanlaob river and thousands of people wanted to try. What makes this place cool and different is that you will be having fun and at the same time a challenge. You can conquer your fear of heights and in water. You can also enjoy walking and trekking for hours. 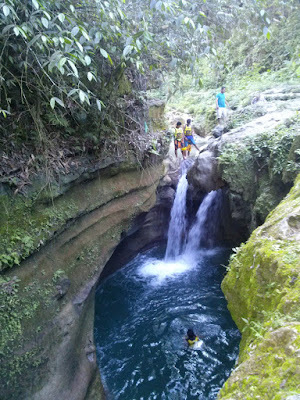 Plan for a trip to Kanlaob river and have fun but before you go to Alegria, you have to contact for a tour guide and ask for a package price for your convenience. Below is the price list of a package tour of Canyoneering at Kanlaob river in Alegria to Kawasan falls in Badian, Cebu, Philippines. 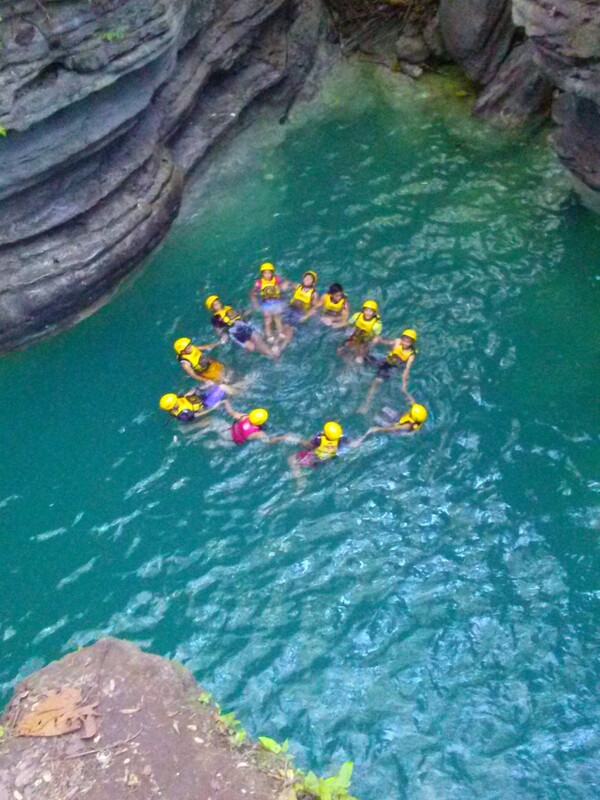 The canyoneering will lasts for 3-4 hours. You can also negotiate with the tour guide if they offer packages with free LUNCH and SNACK. How to get to Alegria, Cebu? From South Bus Terminal in Cebu City, ride a Ceres Bus going to Sangi, Madredejos, Alegria. Travel is almost 3 hours and the fare is 140 Pesos (Aircon Bus). 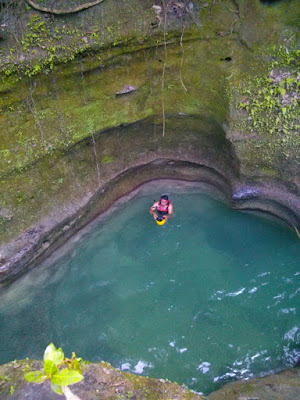 Your tour guide is waiting for you in Sangi and will start accompany you through the rest of your tour. 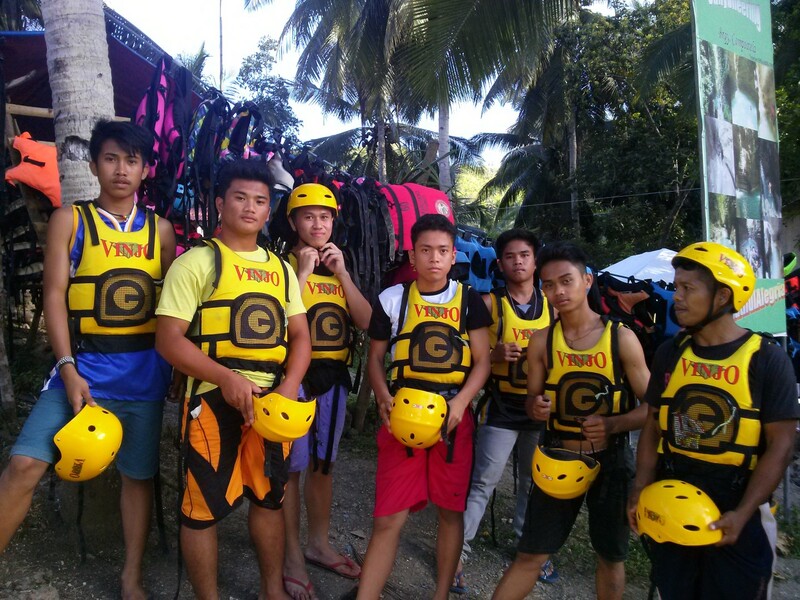 Contact the number above for your convenience while having your adventure and canyoneering at Kanlaob river in Alegria, Cebu. Pictures above are actual photos taken from the trip including the vest and helmet. Plan for a trip this summer. Definitely We will come here.